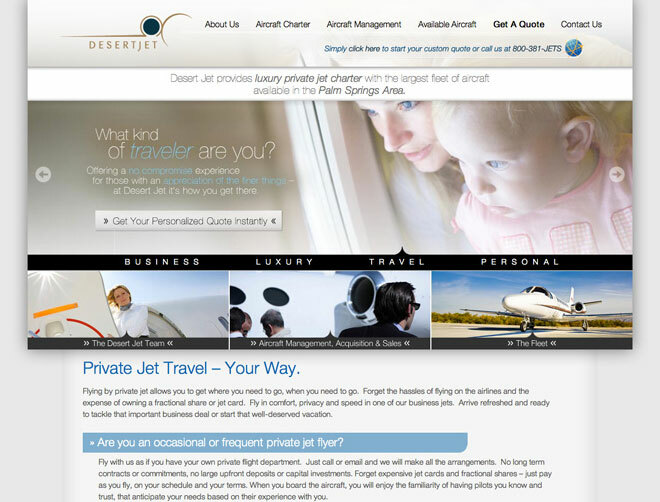 Desert Jet is both a charter operator as well as an aircraft charter broker, with access to a worldwide affiliate network comprised of hundreds of aircraft, enabling them to provide lift virtually anywhere, anytime, in any type of aircraft. 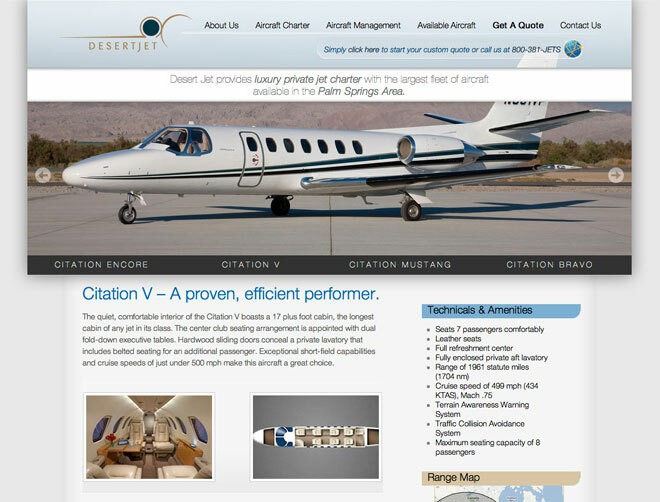 There presence online had to reflect the companies brand of luxury and practicality, while providing information on aircraft management, available aircraft and more. 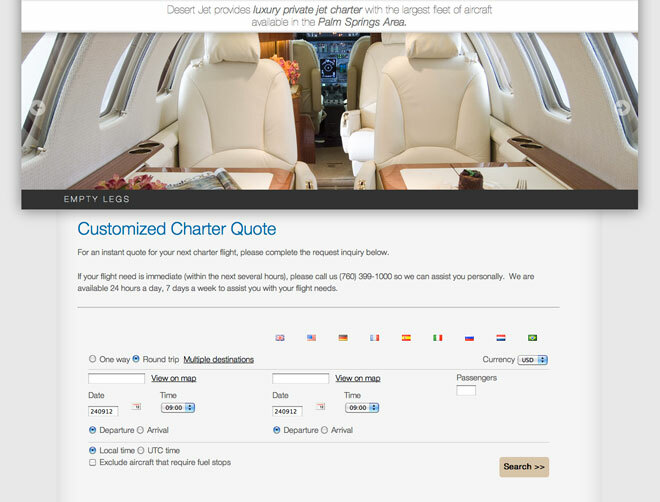 The additional ability to request a customized charter quote easily on the site, Desert Jet goes above and beyond offering a user experience that is simple yet sophisticated. A meeting planner’s best friend. 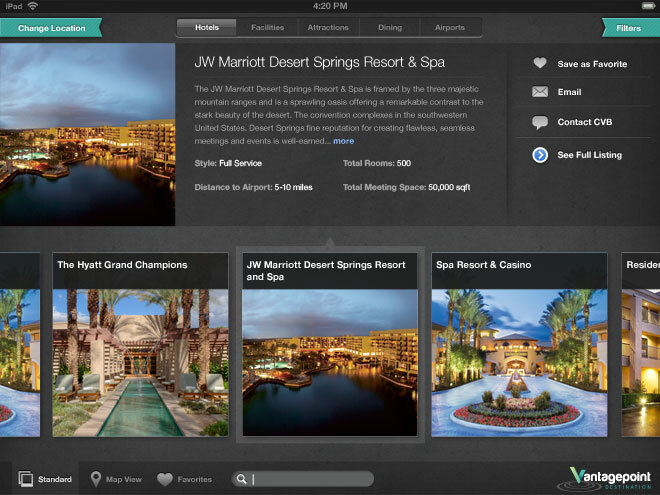 Vantagepoint Destination is an iPad app that presents convention and visitor bureau’s offerings to meeting planners anytime, anywhere, at the touch of a finger. 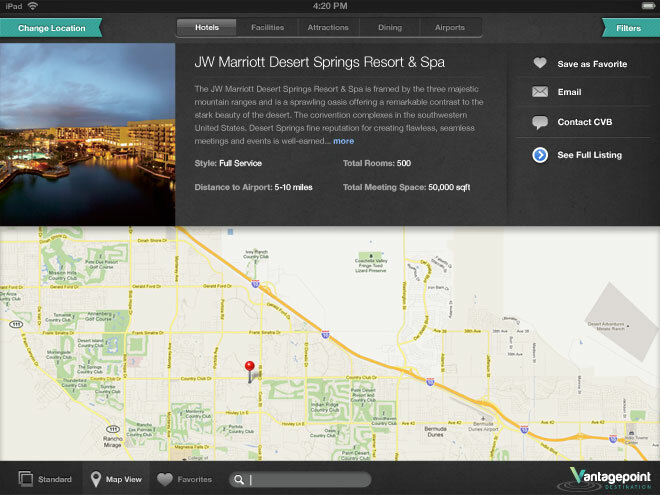 Through an intuitive user interface and database management integration, you can quickly choose a hotel or convention center in the area of your choice and view information, photos, and even nearby dining and attractions. If a location suits your needs, contact the CVB to make arrangements or submit an request for proposal with the press of a button. 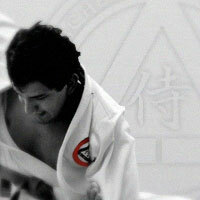 Coachella Valley Judo and Brazilian Jiu-Jitsu has rich 20 year history, but needed to improve it’s brand awareness as well as create a hub for students to get regularly updated news and team announcements. While the bulk of content is geared towards educating and converting leads to new students, the dynamic news and video section on the homepage combined with the blog make it a great place to find out about upcoming events, tournament results and more! 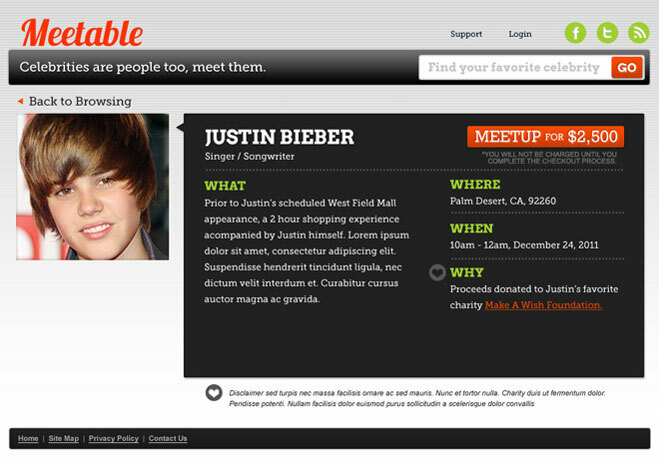 An amazing new service in development, Meetable offers fans the most exciting opportunities, and celebrities additional ways to connect with their fan base. 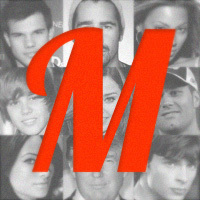 Through sophisticated database management, a celebrity’s time is managed as a product for auction or available to buy now. 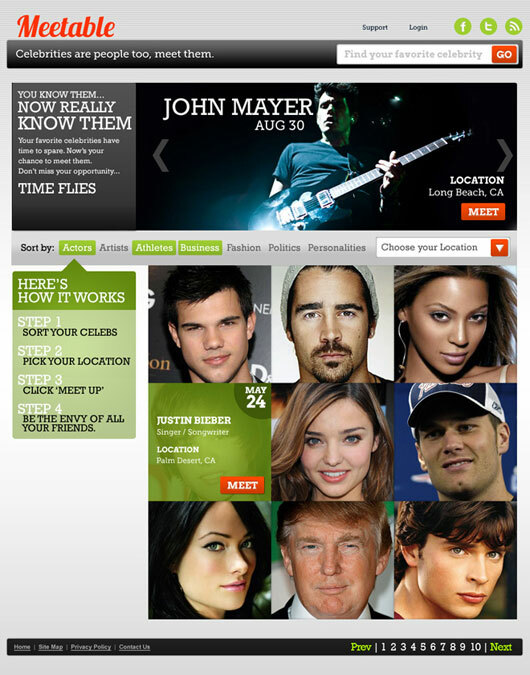 Advanced filtering and user generated content makes it easy to find the next available opportunity, bid, and arrange a meeting with your favorite celebrity. 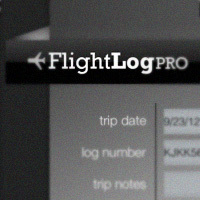 Elevating the standard in flight log management was our task and we were ready for take-off. 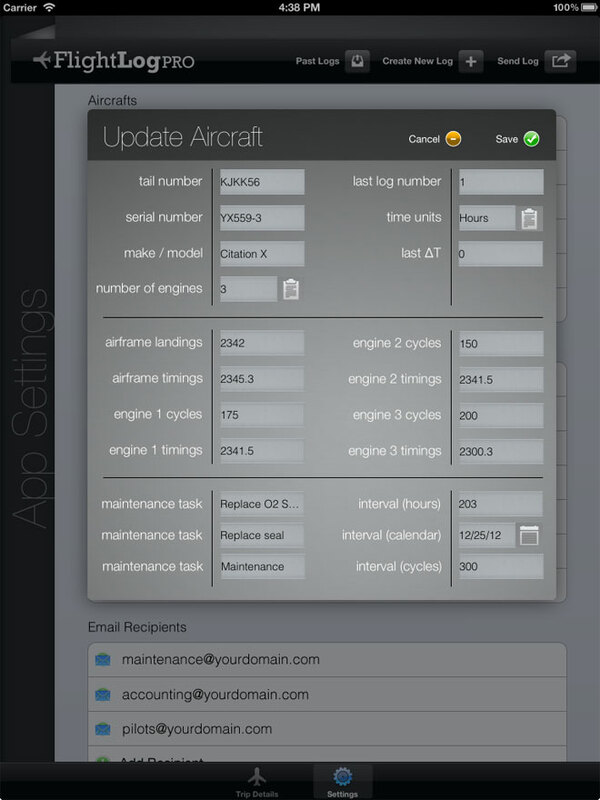 The FlightLog app was tailor made to make the logging of aircraft flight time, and maintenance as easy as sending an email. 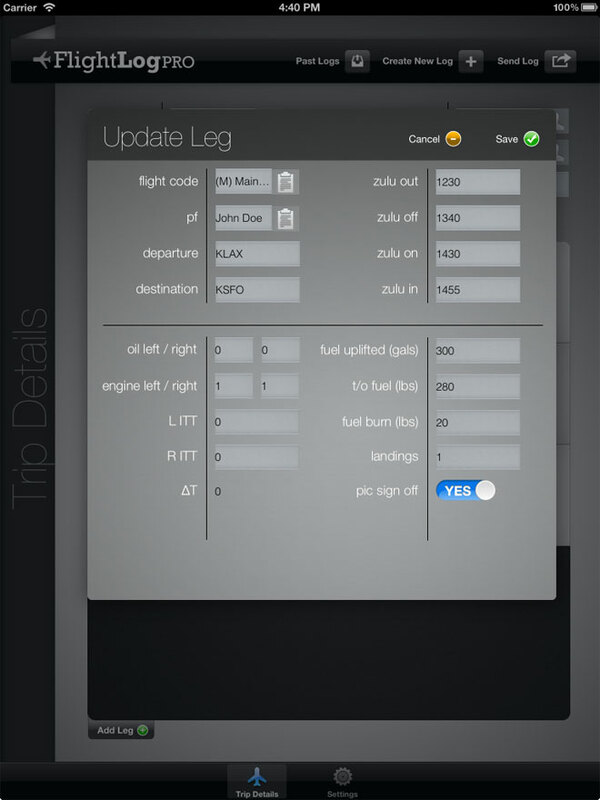 The FlightLog app is not only able to calculate flight, duty time, expenses, and fuel burn rates, but also aides in tracking maintenance costs. 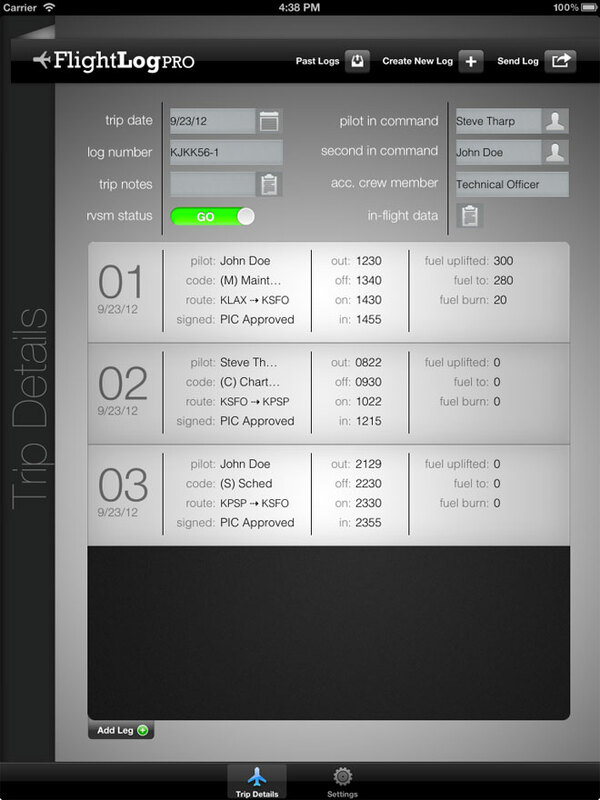 With this multi-faceted tool designed to manage these important tasks – pilots are now able to focus on making safer and more efficient flights. Ark Connects was founded on a passion to provide our clients with elegant yet powerful web experiences for their customers and prospects. While we supply comprehensive website development services including Search Engine Optimization (SEO), we specialize in creating custom branded e-commerce experiences that are simple and intuitive for users, while providing seamless data integration directly into our client’s back office ERP systems. This unique focus on ERP integration with our client’s website separates Ark Connects from other typical website developers. With years of website design, development experience, and expertise in API’s and database integration tools, we provide online tools that allow customers to check stock, enter orders, request a quote or documentation, check account information, and more, all through a seamless communication between website and ERP system database. Design and usability is of the utmost importance to ARK Connects. We believe that no matter what the content, it must be easy to understand and navigate in order to complete the client’s site objective. A discovery process, planning and a years of information design experience gives us the ability to leverage our client’s ERP system and database to create usable web experiences that convert traffic to sales. As online technology evolves rapidly, it is ARK Connects passion to not only utilize the latest practices, but also be aware of what is coming next. 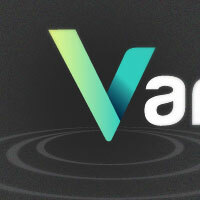 It is that passion that produces complex functional solutions, in simple and clean user interfaces. What’s under the hood drives the user experience. 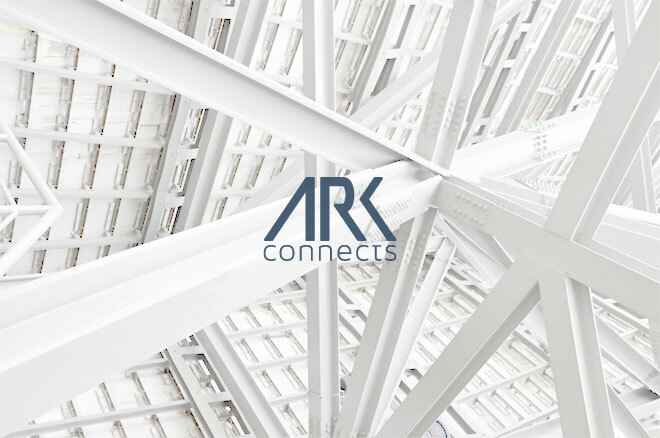 Ark Connects utilizes Application Program Interfaces (APIs), typically provided by our client’s ERP system provider, to integrate forms and data to update the ERP system seamlessly. For example, when a logged in customer fills out a form on our client’s website, the site communicates with the ERP system to provide the client an authorized quote to review and accept based on the client, product ordered, and quantity. Once accepted, the website would communicate with the ERP system and create a sales order and even print the pick ticket in the warehouse for processing if desired. © 2019 ARK Connects All Rights Reserved.